Prior to joining Nobel Specialist Practice, Dr Thong practiced psychiatry in the Institute of Mental Health, Singapore (IMH), where he was involved in the setting up of the High Dependency Psychiatric Care Unit (HDPCU). He also managed the multidisciplinary teams that treated patients with various mental disorders in the acute General Psychiatry ward and HDPCU. He has a keen interest in suicidology, and has published papers on suicide and suicidal behaviours in international journals, conferences and books. He treats mood disorders such as depression and bipolar disorder, and psychotic disorders such as schizophrenia. He also treats insomnia and anxiety disorders, and has a special interest in obsessive compulsive disorders (OCD) and stress-related disorders (due to work or marital problems). 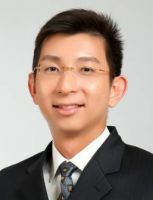 Dr Thong practiced military psychiatry during his National Service and is familiar with the treatment of stress disorders related to National Service. We also offer Psychological services such as psychotherapy and intellectual assessments for children, adults and the elderly. Our psychiatrists are also able to provide assessment and treatment for persons with medico-legal issues (including committee of persons, testamentary capacity and forensic issues).